Before you judge me, I know many of you won't agree with the title and thus the further blabbering, but I had to let this out. WhatsApp has become an integral part of our lives now. It started with free texting but eventually with each upgrade of WhatsApp, connectivity and expressiveness became easier. Sharing images, videos, voice notes, making internet calls and hundreds of emoticons made conversation just too easy and interesting. 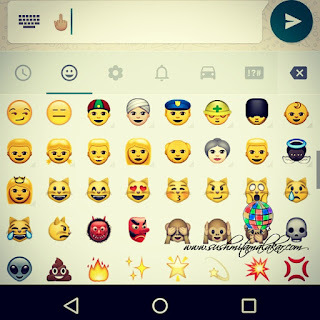 But, the new upgrade of WhatsApp disappointed me to a great extent. 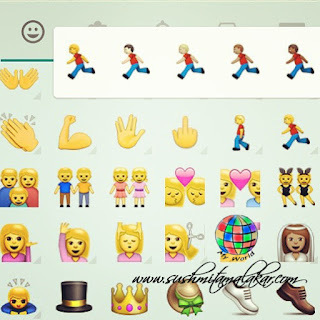 With the emoticons in every color, WhatsApp is certainly promoting racism. I have mentioned it a lot of times that I am a racist (and not proud of it) but never in my life and in my senses would I be promoting it. 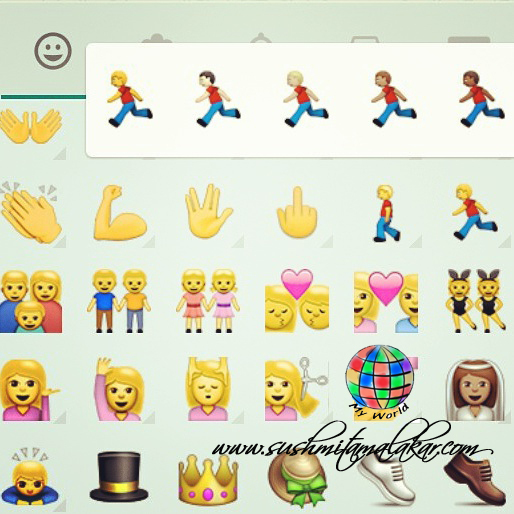 The new emoticons are available in every color - yellow, white, variants of brown and black. They say that it is to respect the racial diversity. They say that people can identify more with the emoticons now. But I fail to understand how! How do my emotions change with color? 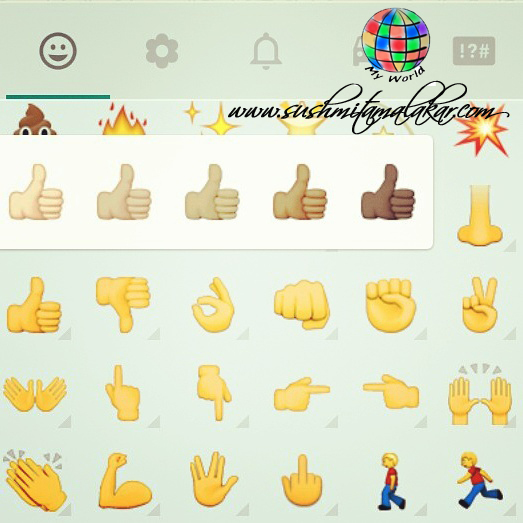 I mean if I have to wish my friend good luck and I wish to use the "thumbs up" emoticon, using a brown colored emoticon will mean that my wishes are more intense because hey look, I am putting across my skin color to you while wishing? Having a single color was neutral because it never ignited the thought that WhatsApp is being a racist by having the emoticons in white color. But now, they are unknowingly instigating a feeling of contempt in the users. Think about it realistically, isn't? You might be unknowingly(sic) making fun of someone's skin color. @Shailaja Ma'am, I just hope Facebook and Twitter don't bring in such disappointment. Though we might not be using it a lot, but the idea of being racist in this manner disturbs me a lot. Yes..you have indeed hit the nail on the head and brought out something that is worth pondering ! I am not big on WhatsApp...but this is hilarious...and why not? Yes.. it's totally lame.. I had the same thoughts when I saw the upgrade..!! It's like promoting racism.. which is not at all needed, at least here..!! You have exactly written what was there in my mind!! ya, I agree too. While I was first surprised to see it, my immediate reaction was "ugh". 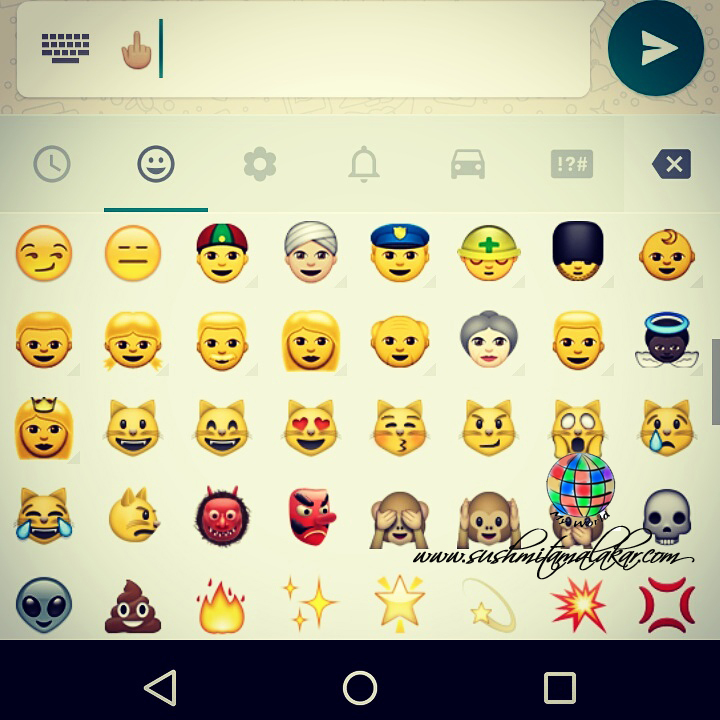 I would have wanted more fun emoticons. In fact, yellow was a perfectly fine colour for me.. it remained neutral. Giving shades of skin tones was a step back. Though they say that they are trying to be inclusive, this is more of an attempt to be exclusive. Getting the point? Indeed! This is hilarious as well as outright attack on the integrity of a world that stands united when using the technology. @Roshan I agree. It not only promotes racism but also a feeling of complex and contempt. I hate this upgrade.